As the Museum’s Education Coordinator for Field Programs, Meredith Jacobson embodies our organization’s mission on almost a daily basis. Leading our nature-based school programs and camps, Meredith has been directly connecting local kids to nature for the last two years. 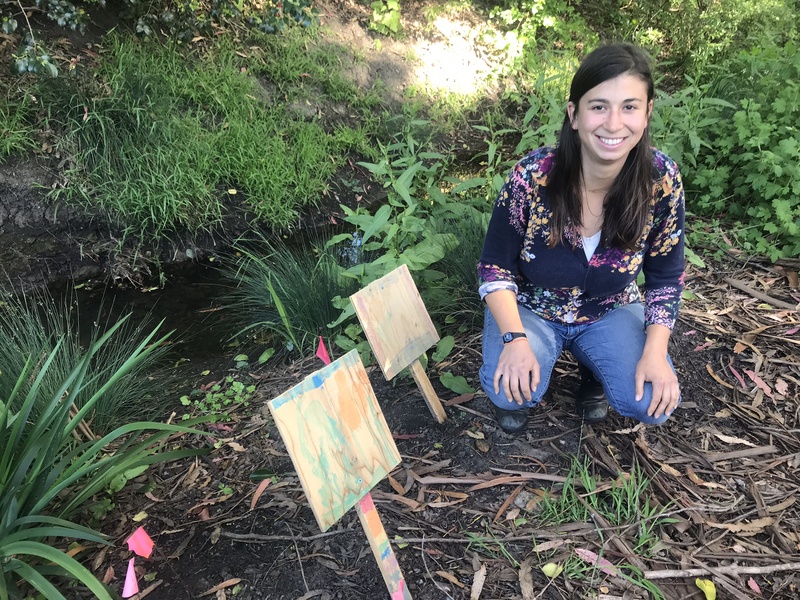 Prior to working at the Museum, Meredith studied forestry and natural resources at UC Berkeley and worked for the California Department of Forestry and Fire Protection, where she helped manage the Soquel State Demonstration Forest. She joined the Museum in November 2016 and now leads field trips in Pogonip and Neary Lagoon, as well as the Museum’s Spring and Summer Camps. Meredith said a highlight from this year’s Spring Camp was when the 6- and 7-year-old participants each painted a wooden sign for the Museum’s garden. “I hope they feel they’ve left their mark as a steward of this place and continue to come back to see how the plants have grown as they themselves are growing up,” Meredith said. Meredith will leave the Museum soon to attend graduate school at Oregon State University, where she will study community engagement and collaboration in the management of forest ecosystems.